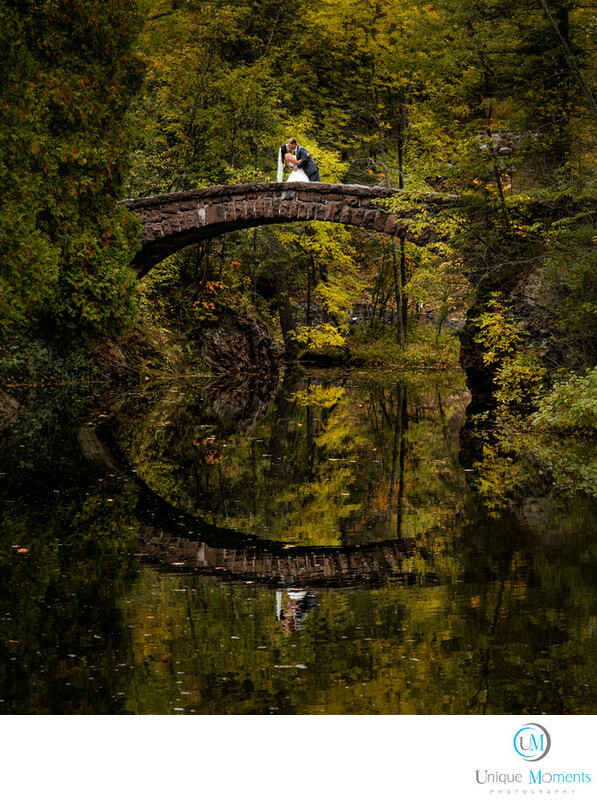 Unique Moments Photography traveled to the Glensheen mansion in Duluth Minnesota for a fall 2013 wedding. This was our favorite image for the 2013 season and the second wedding that we have captured for this wonderful family. The cold fall temperature, the historic bridge, Beautiful fall colors and of course the reflection in the water below made this a truly Unique image. The image was captured with a 300mm prime lens. This was an all natural light image. Location: 3300 London Rd, Duluth, MN 55804.